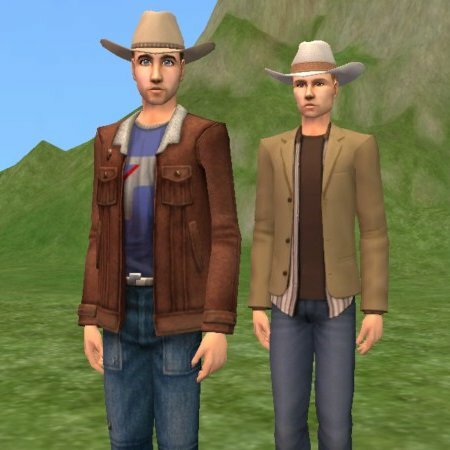 If you've seen "Brokeback Mountain".... SHHH! Please don't discuss the plot in this thread. We don't want to spoil it for people who haven't seen it yet, right? Thanks. 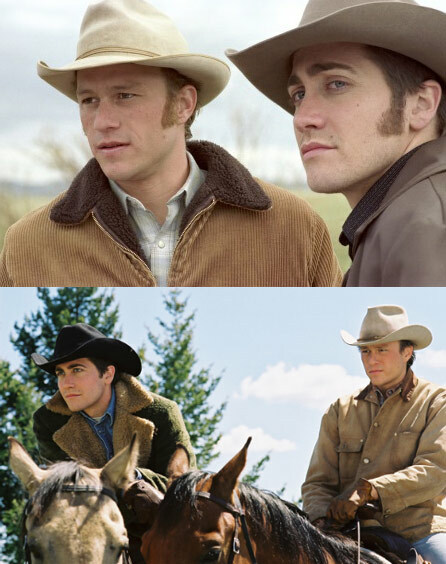 Here are Jake Gyllenhaal and Heath Ledger as their "Brokeback Mountain" characters Jack Twist & Ennis Del Mar. 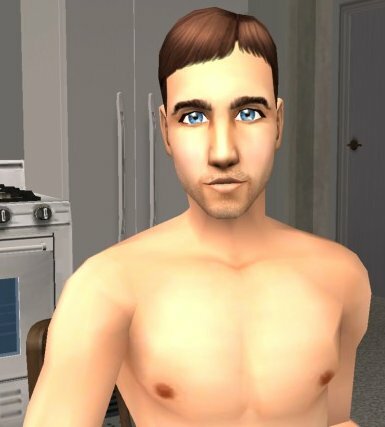 They come packaged with the Maxis Nightlife clothes in the first pic. I also have University installed, so they probably require both EPs unless you use Clean Installer. 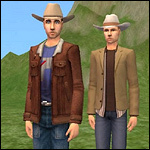 The hair you see in these pics is the hair under their hats - I nixed that crazy Elvis-hair for these two cowboys. Any other pictured clothing not included. FYI, Jake (Jack) is the brunet, Heath (Ennis) is the blond. 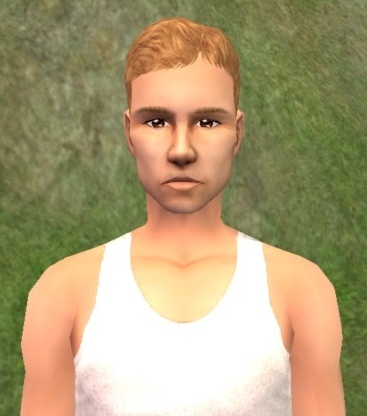 Please don't redistribute these sims or altered versions of them. Thank you. Footnote: ZOMG! 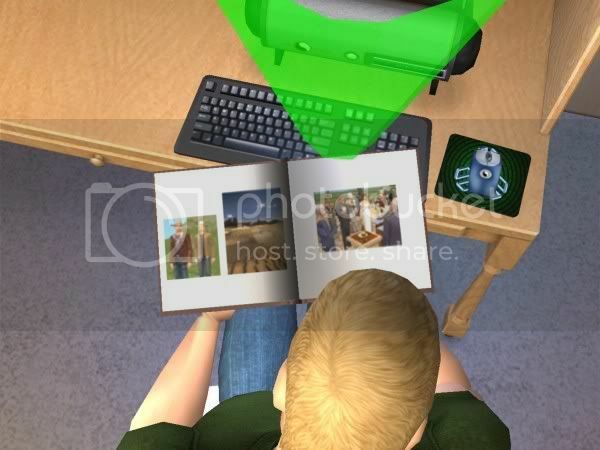 These sims were shown on TV! And in Rolling Stone magazine!! Huge thanks to everyone who pointed that out! And to DameSporkalot for the scan!!! ETA: And PC Gamer! 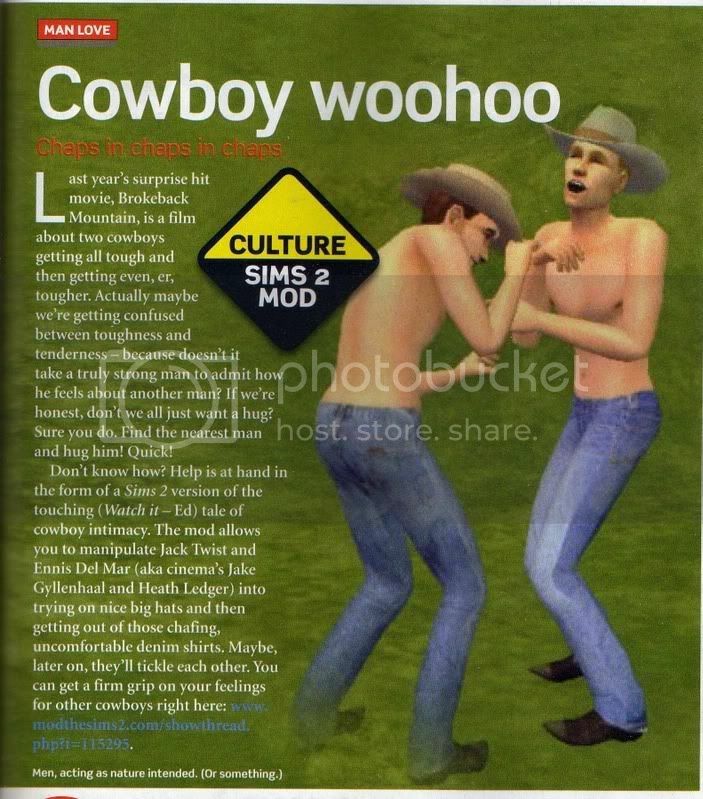 Thanks for that scan, liza2u! ETA2: And Bon Voyage! Huge thanks to Kenny for the pic, and to everyone else who pointed that out.